I would recommend Dr. Wei anytime! Dr. Wei is a great dentist and is one of the best in his field. He is very knowledgeable, professional, and competent. He and his staff are very welcoming and make every effort to make you feel comfortable during the office visit. The office itself is equipped with the most up-to-date technology, which makes you feel like you are receiving the most top-notch dentistry care. I would recommend Dr. Wei anytime! No matter how complicated your issue may be, Dr. Wei will have a solution. I have been going to Dr. Wei for the past three years and have been impressed and appreciative of his dental work. Dr. Wei genuinely cares about your oral health and he and his staff are always very courteous and professional. The office is pretty modern, equipped with newer x-ray systems, patient management software, a screen that plays DVD’s while you’re in the dental chair, etc. He is an incredibly professional, supportive, and attentive dentist. As New Yorkers we know how hard it is to find a perfect match for a dentist or doctor. 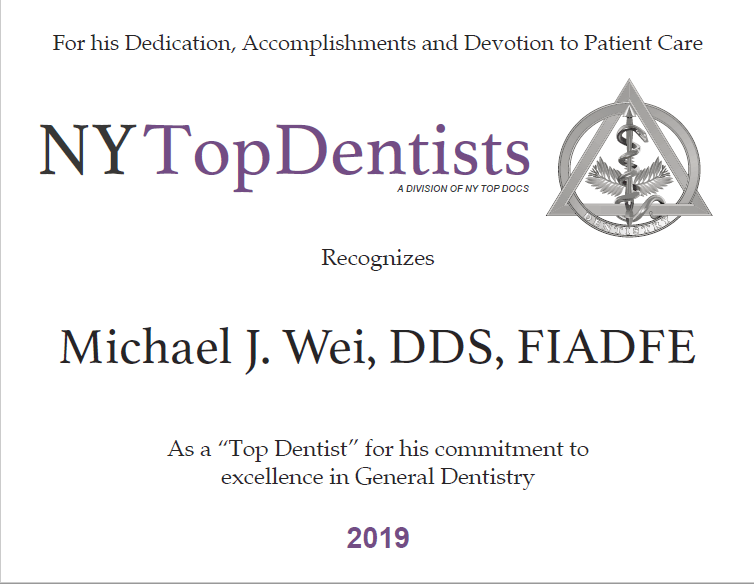 Dr. Wei is a committed dentist that helps his patients beyond each visit. He is an incredibly professional, supportive, and attentive dentist. Any time I’ve had dental issues he returns my phone calls and has an appointment ready. At the office his skilled knowledge makes me feel comfortable and confident. He gives excellent advice for dental care and provides services for any financial bracket. I recommend him highly and look forward to continuing my regular visits. And continually, his punctuality is outstanding. Dr. Wei is a thorough dentist with a calm and reassuring bedside & chair-side manner. 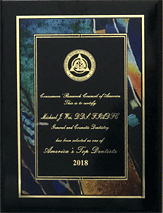 I have been his patient for several years now and even followed him to his newer midtown location because after experience with mediocre dentists it was nice to find someone who really cares about his patients. Although he’s recommended some minor cosmetic treatments to me over the years (whitening & Invisalign). He has never been high pressure about it. He’s real easy to work with and explains things thoroughly. I’d recommend him to anyone.